On April 25 the HZDR data centre initially launched the new data publication platform at HZDR. We call it RODARE - ROssendorf DAta REpository. 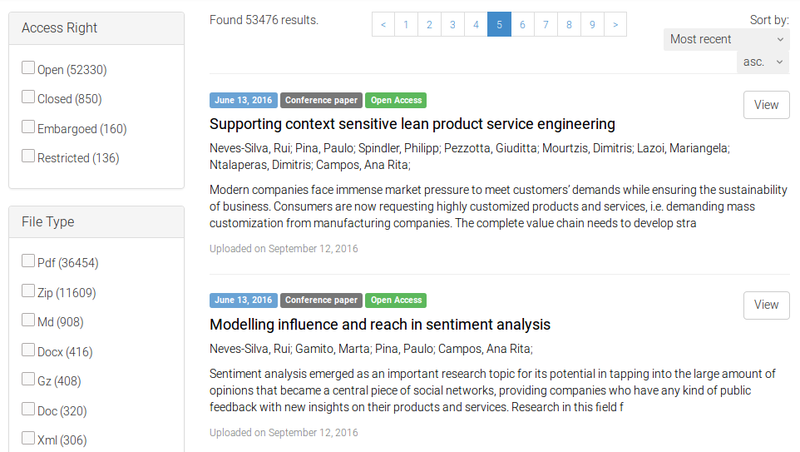 RODARE is based on the Invenio Digital Library framework and powered by Open Source technologies and frameworks. The clearly structured user interface of RODARE let's you easily find, view and create new uploads. The Elasticsearch powered search backend will help you find the information you need in a responsive manner. Each upload in RODARE is registered in DataCite and receives a unique DOI with the HZDR specific prefix 10.14278. Use the assigned DOI to cite your software or research data in your publications – just like you did with papers before – and improve the reproducibility of your reseach.. 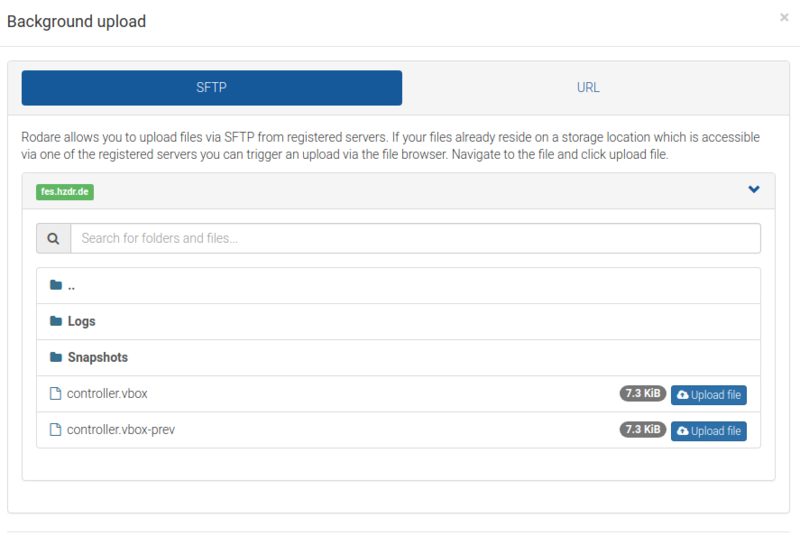 Using the web interface we currently have an upload limit of 50GB per file and 100GB per dataset. As a storage backend we currently use the GPFS storage server located in the data centre of HZDR. If you need more space, please contact us. Please note that public records will receive considerably higher visibility on RODARE. A lot of HZDR research data is already located on one of the storage systems in the data center. For those data there are better ways transfering them to RODARE than using an HTTP web upload. RODARE allows you to browse all the files that reside on storage systems located in the HZDR date center. They are transferred to RODARE using SFTP in a background job. You just need to connect, choose and wait. Files in RODARE can become quite large, but nevertheless, they must be accessible via HTTP. Especially for large files via a small-bandwidth internet connection, this task can take very long time. If a connection error occurs, the download could fail in worst-case. This is why RODARE supports resumable downloads. Use a download manager which supports download resumption and you can start, stop and restart long-taking downloads. You want to cite your software in academic literature? Use RODARE to make your software citeable and link your account with your GitHub account. With the GitHub integration, RODARE will collect each release you create on GitHub and create a new record.